The Parking Master Can PARK His Car ANYWHERE! - Muscle Cars Zone! The Parking Master Can PARK His Car ANYWHERE! Remember when you first took driving lessons? What was the toughest part of it? We suppose it was parking and we were `right like the Wright brothers` when they said the man could fly! If you had a penny each time you heard from a friend that he is not going out tonight because he will not find a parking place – you would be a rich man right now! 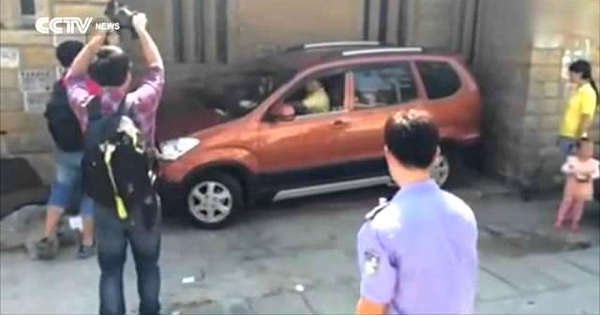 from the city of Jinjiang – Fujian Province in China where he is also known as the Master of Parking! After he managed to squeeze his car in a gap that was almost the exact size of his ride – he became famous! After posting a photo of the car already parked, he decided to take a video where he repeats the action. So, if you are having troubles parking your ride, this is exactly the video you need. It will motivate you to work harder and never have troubles like that ever again!